Happy new year to you all! Now that we start to prepare for the year ahead, first we would like to reflect and remember 2013. 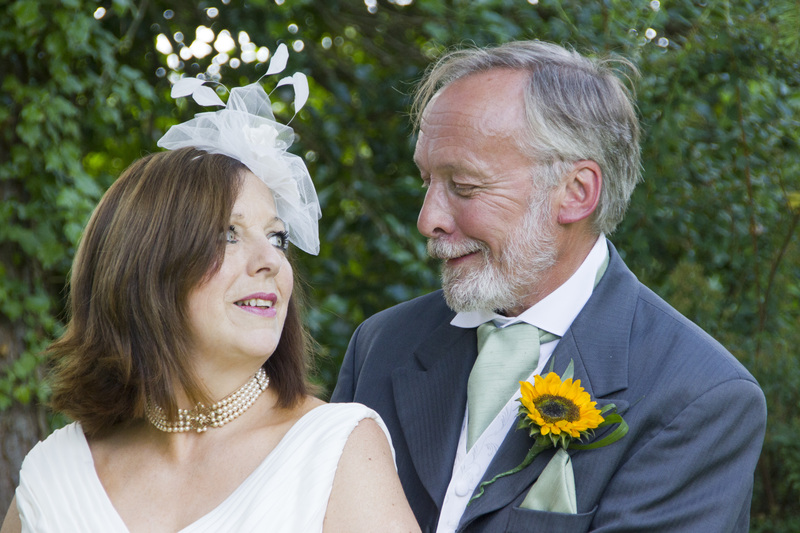 In August we were lucky enough to be a part of Sandy and David’s wedding day. 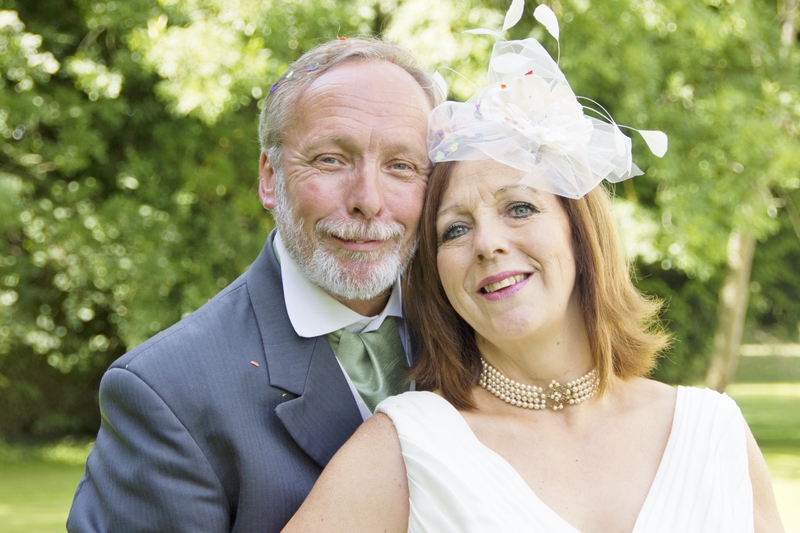 Sandy and David have been together over 10 years and decided that they would like to hire us as their wedding planners. 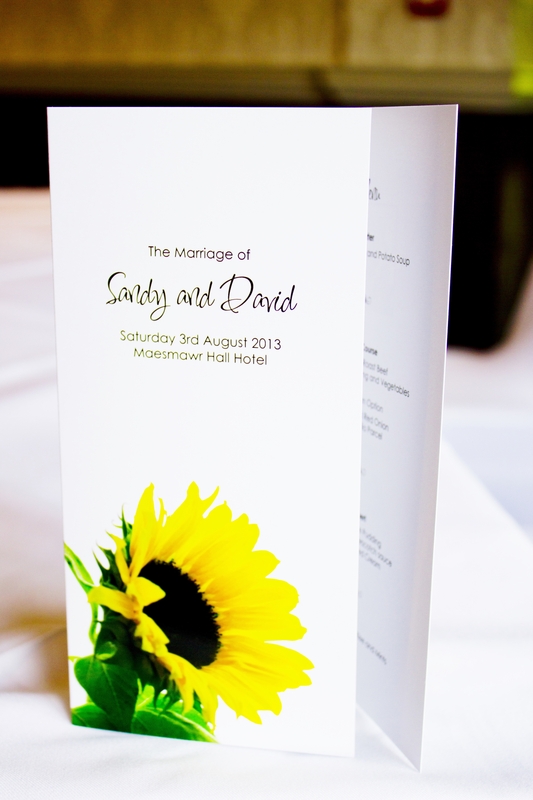 I spent a lot of time with the couple discussing ideas and plans and what came across was that Sandy and David wanted a very bright and happy day but also not to be entirely focused on them. 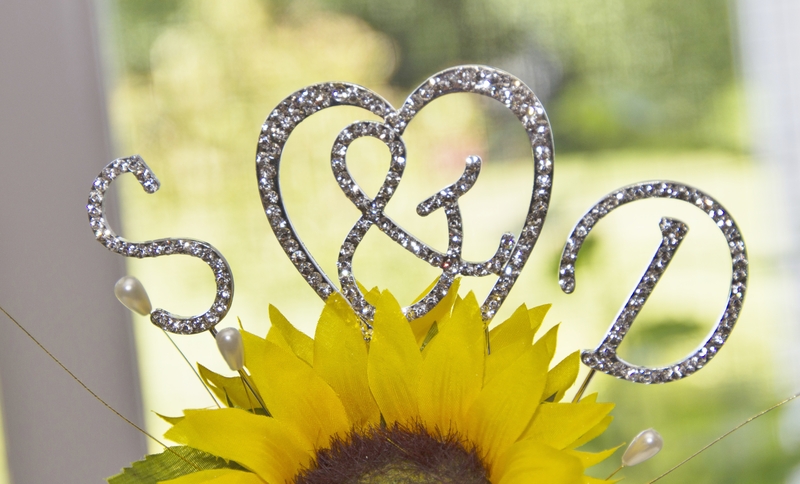 They wanted it to be about family and friends coming together, enjoying themselves and being a part of their special day. 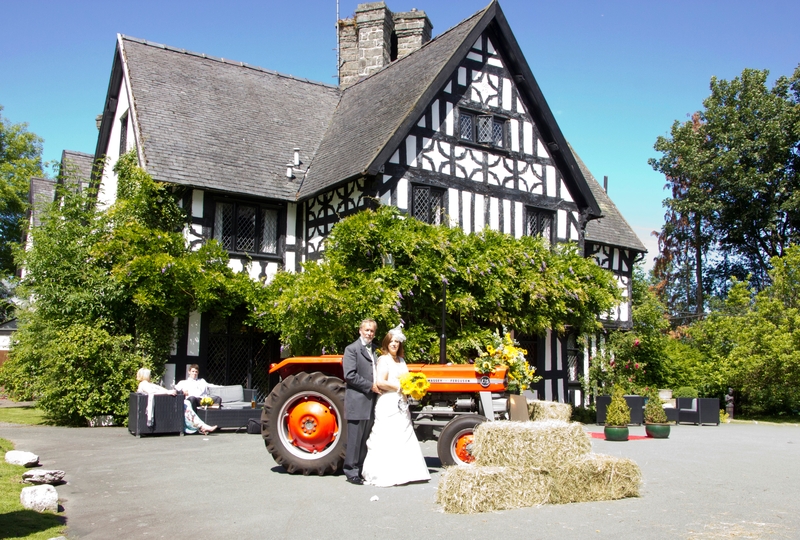 They viewed many venues but once Sandy saw Maesmawr Hall Hotel in Caersws, there was no doubt that this was going to be the one. 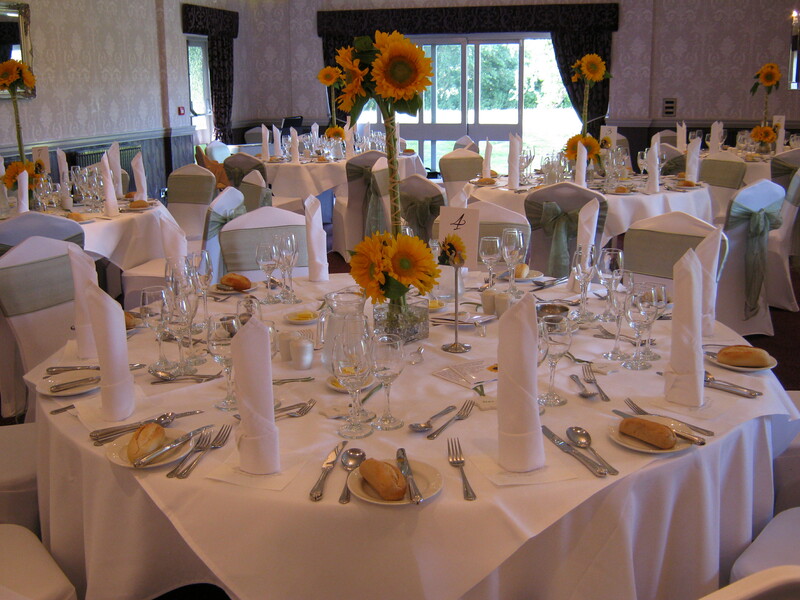 Maesmawr is a beautiful hotel with rooms full of character and the food, well the food – simply delicious!!! Colourful? 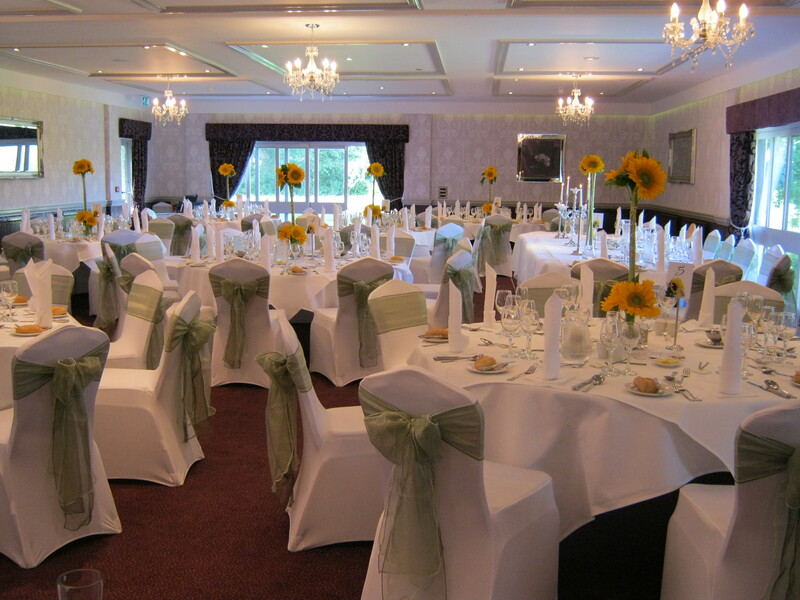 How would we make this day full of colour but not overly decorated as they did not want too much decor which would take away the beauty of the room. 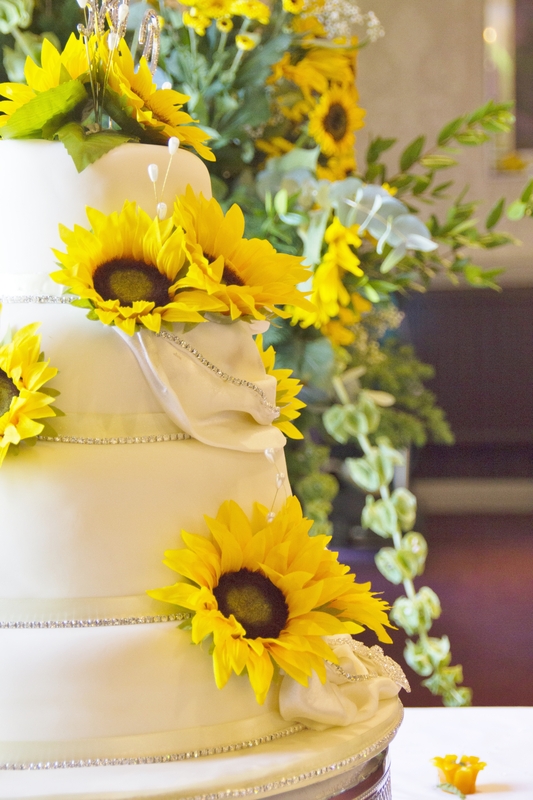 Answer:Sunflowers. 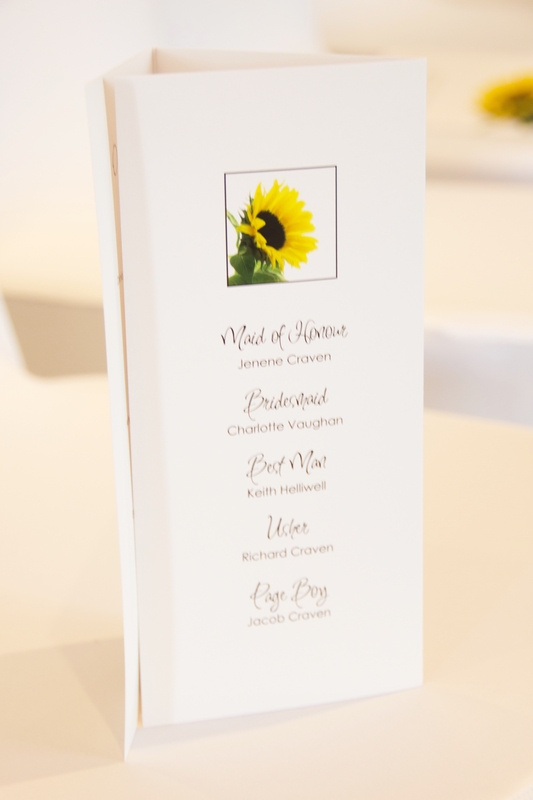 It turned out that these flowers were a favourite of the couple and wow did they do the job. 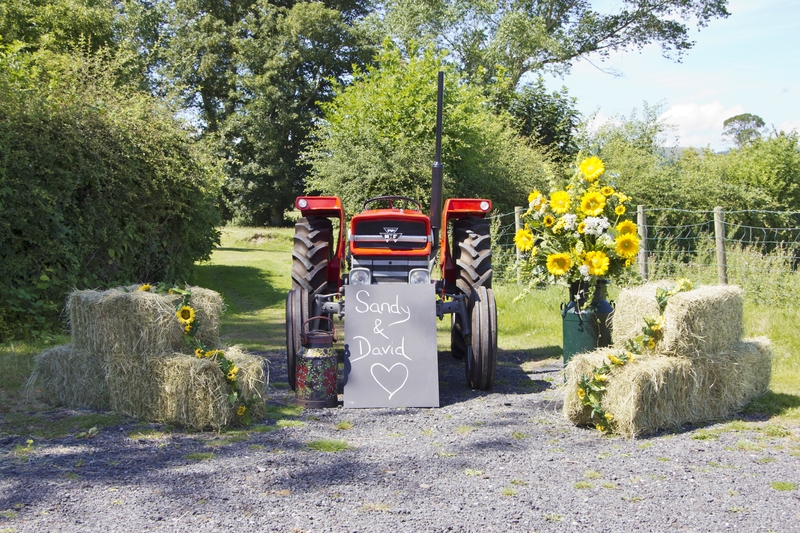 Luckily the weather was kind to us on the day which was ideal as we had a Massey Ferguson tractor ready in place for the photographs, kindly borrowed from their neighbours. This was a suggestion by Sandy as she wanted it to be in memory of her father. 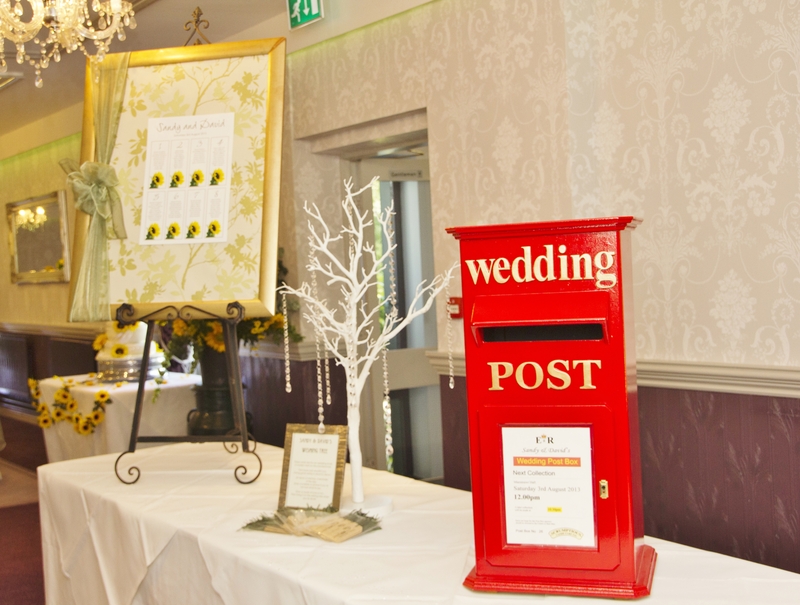 The Finest Detail worked very closely with the couple and provided the Finest Wedding Package. 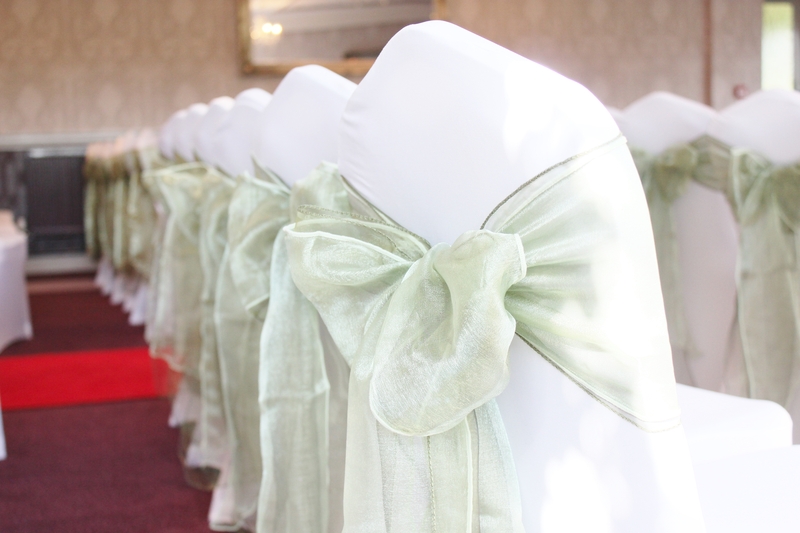 The flowers were beautifully arranged by the Floral Art Shop in Llanidloes. The favours were little hearts made of clay for the ladies and little stars made of clay for the men. Engraved in them were the guests names. 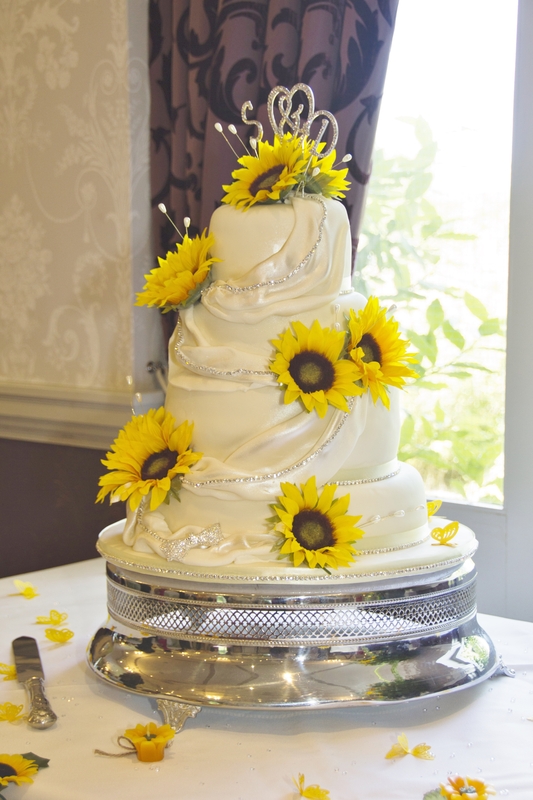 The amazing wedding cake was made by a family friend and adorned with sunflowers and sparkly crystals. I love this cheeky pic! 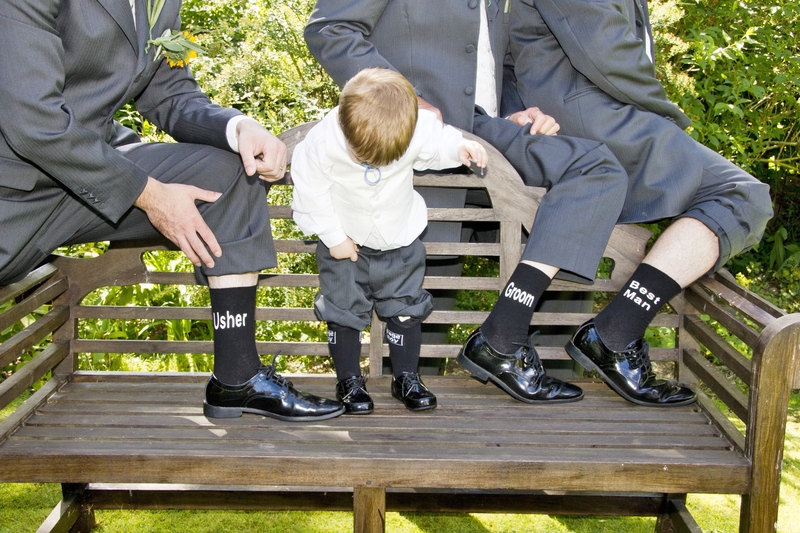 The mens socks were the brides idea and gave plenty to talk about – although the page boy was wondering what all the fuss was about. 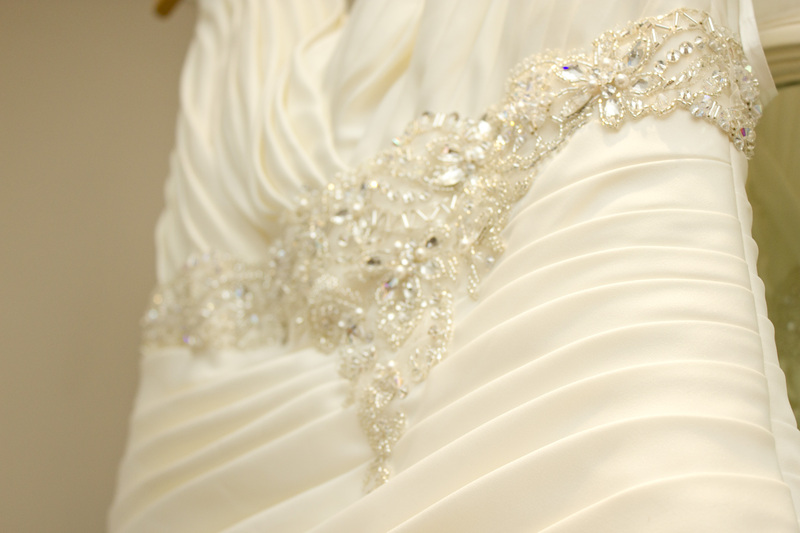 The beautiful brides dress, bridesmaids dresses and male outfits were all from Wedding Belles at Laura’s of Llanidloes. 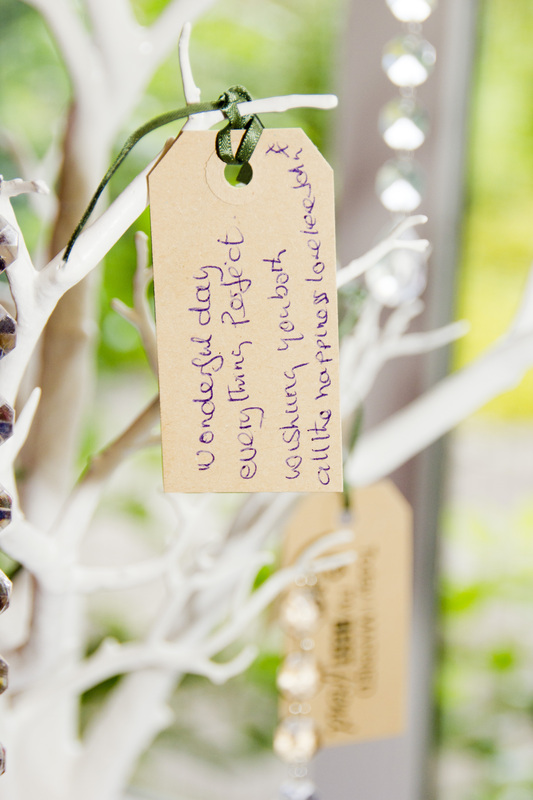 As well as a cast iron postbox, there was also a wedding wishing tree which was adorned with lovely comments by the end of the day. 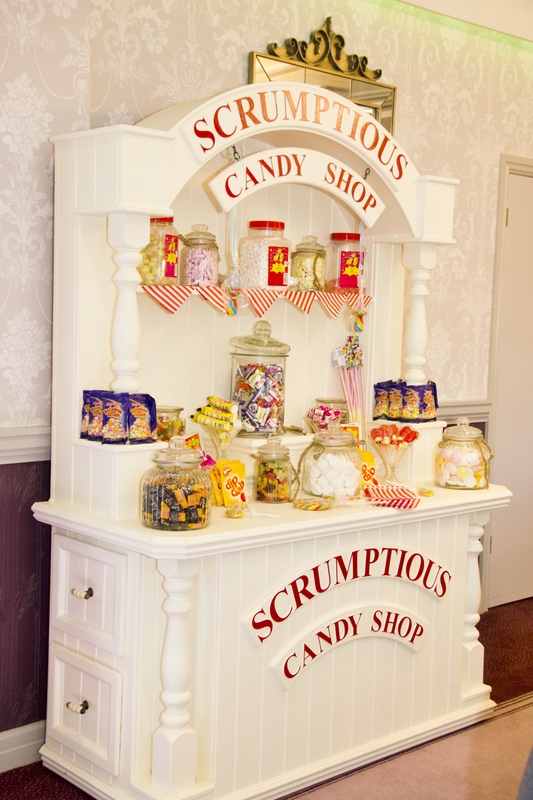 The Scrumptious Candy Cart Co. provided a sweet bar which was full of goodies and enjoyed by everyone. 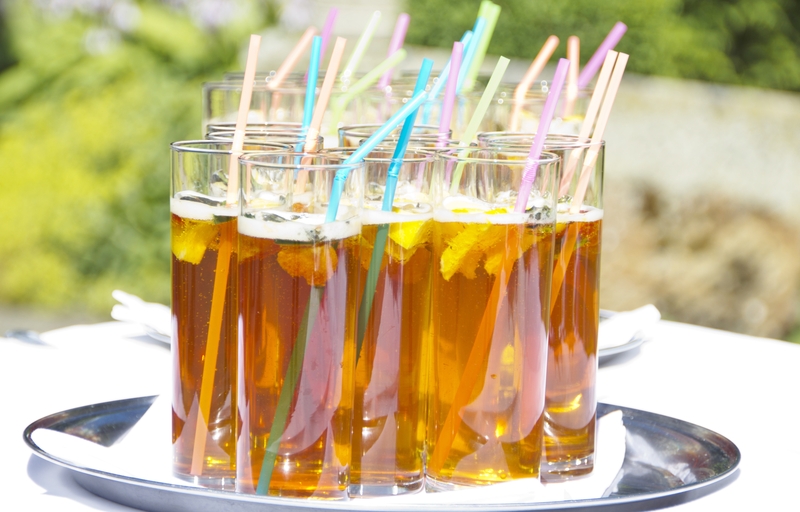 After the wedding ceremony, a glass of pimms was awaiting the guests as they enjoyed the sunshine in the stunning grounds of Maesmawr. During the ceremony, everyone was entertained by the magnificent and very talented Trio Canig. 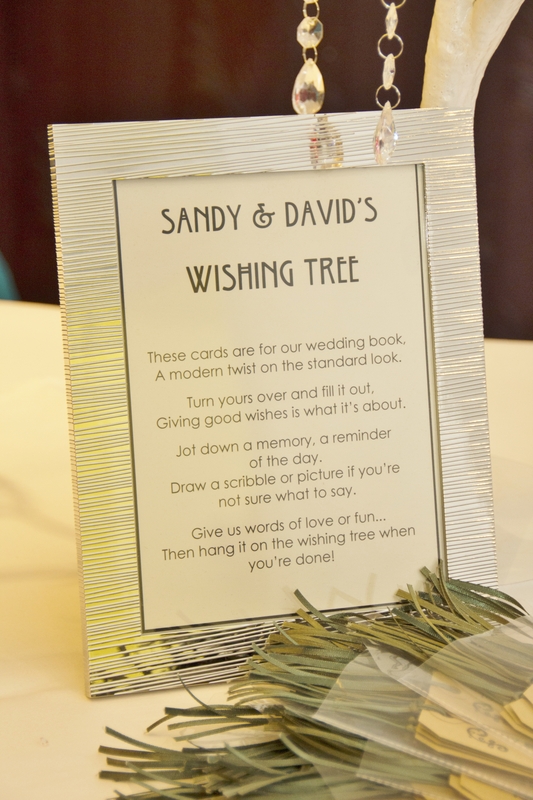 Also just before the wedding breakfast, they sang ‘Danny Boy’, a request from the bride as a surprise for her new husband. The evening entertainment was a disco provided by Carlsboro Sound. It was a very beautiful day and we thank you for allowing us to be a part of it with you. 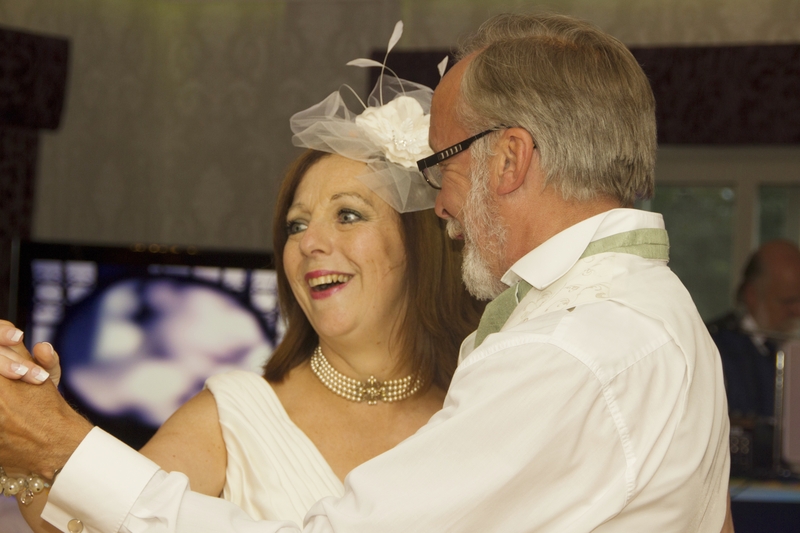 Congratulations to the new Mr and Mrs Vaughan. 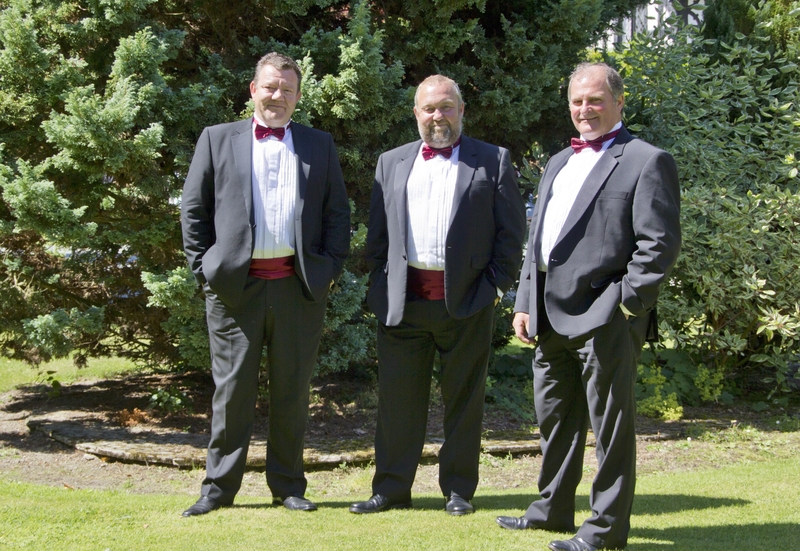 All of the photographs were taken by Lori-Ann Buckler of Buckler Photography, Llandrindod Wells.